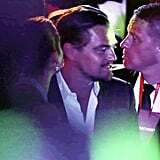 Leonardo DiCaprio had a busy few days at the Cannes Film Festival last week as he promoted The Great Gatsby. 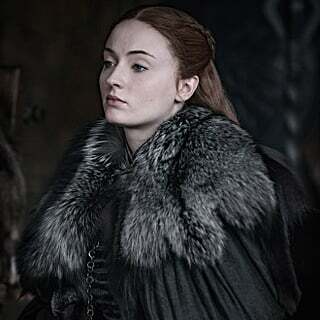 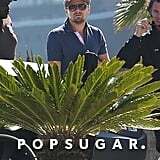 He teamed up with his costars Carey Mulligan, Tobey Maguire, and Isla Fisher for multiple events including the glamorous Gatsby red carpet premiere that opened the festival, but his trip to France wasn't all about work. 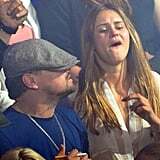 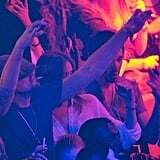 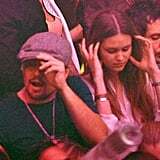 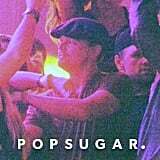 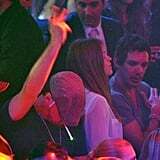 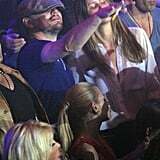 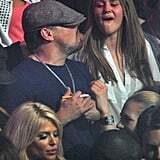 On Friday, Leo let loose at a nightclub, where he danced with friends, including Lukas Haas, and a few lucky ladies. 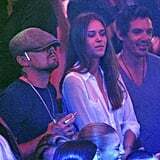 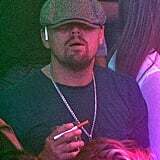 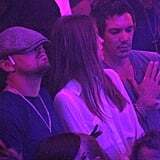 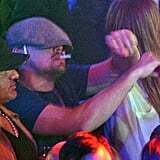 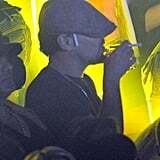 Leo tried to keep a low profile with his hat on, but he was spotted mingling in the crowd and showing off his moves while also smoking on an electronic cigarette. 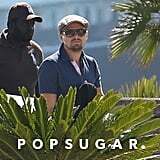 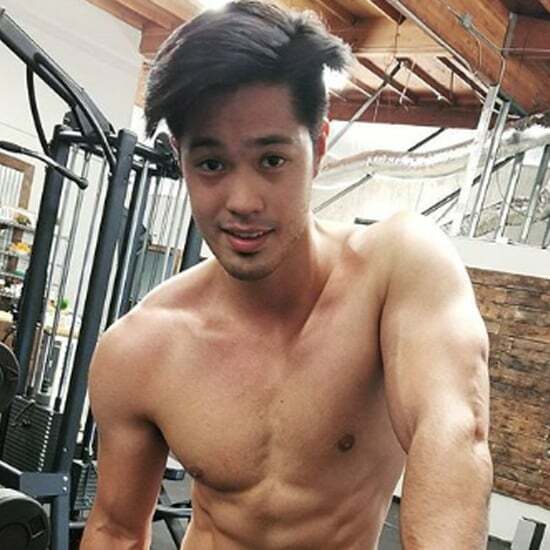 He followed up the late-night fun by hanging out on a yacht last weekend and on Tuesday he made his way back out on the water. 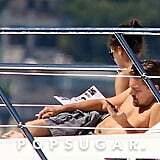 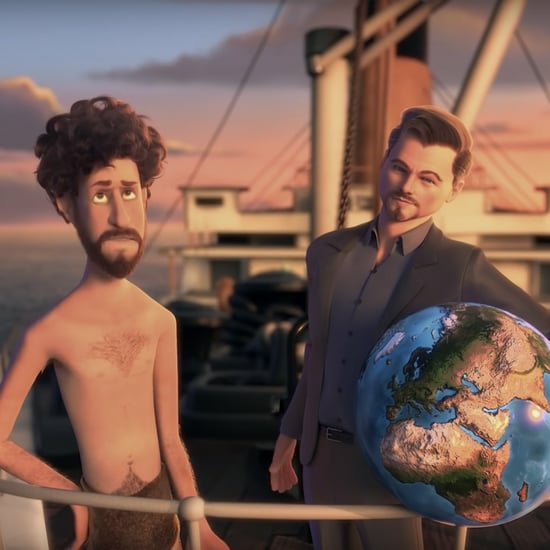 Leo and Lukas were joined by a group of guys and girls to lounge on Phillip Green's luxury vessel, where Leo went shirtless and even snapped a picture of himself while smoking a cigar. 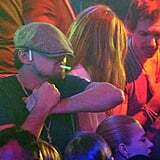 Later in the evening, Leo took the party indoors to attend jewelry brand de Grisogono's Cannes cocktail party. 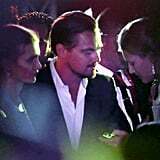 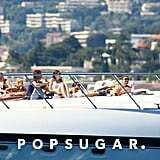 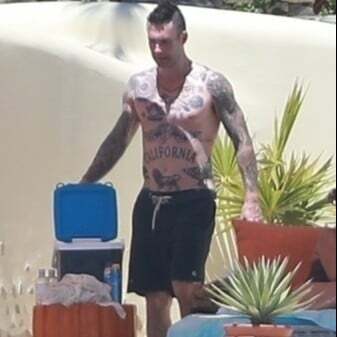 He was once again surrounded by a handful of young, beautiful women while sipping on a glass of champagne and was back to living it up on a yacht yesterday. 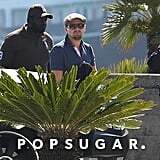 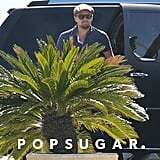 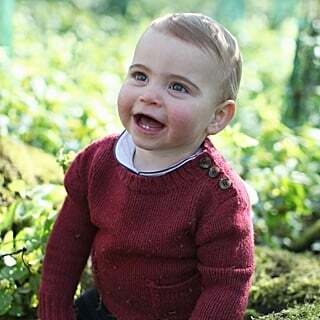 Leo stayed behind in France while the rest of his Gatsby costars headed Down Under for the film's Australian premiere. 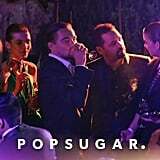 While promoting the movie in his native country, director Baz Luhrman explained Leo's absence saying, "I know he made the right decision. 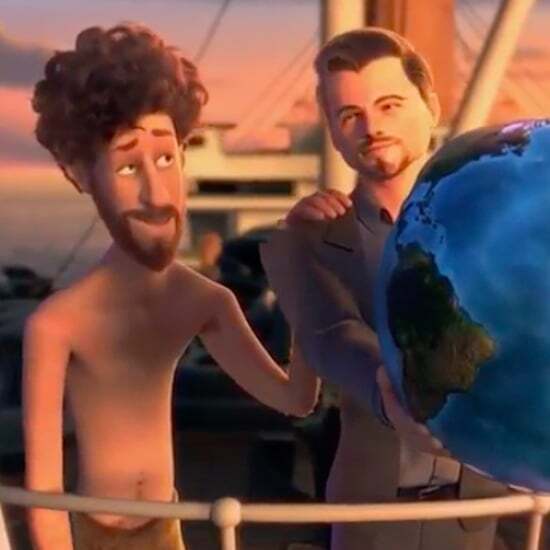 He shouldn't be here. 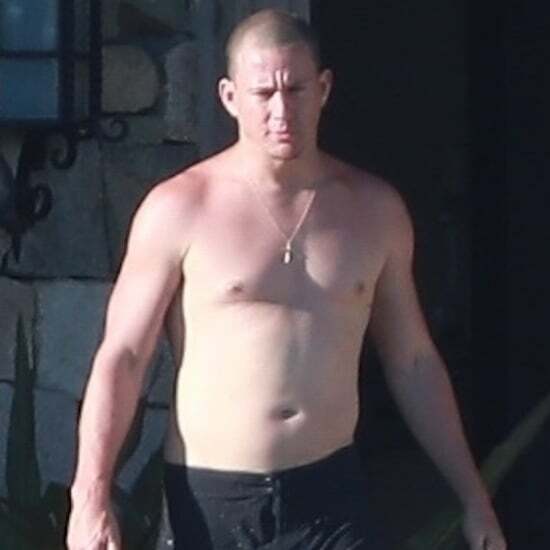 There are things in your own personal life where you've got to draw a line and we talked about it. 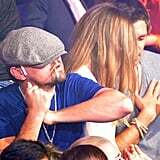 He did exactly the right thing in my opinion."